As many of the lawsuits against Trump administration policies brought by state and local entities move towards their resolution on the merits in both federal district and appellate courts, it is becoming clear that courts are confused about some basic ways that various aspects of the doctrine of federalism—that is, the proper relationship between the federal and state governments—relate to each other. Case in point: the dispute between various cities and the Trump Department of Justice (DOJ) concerning Attorney General Sessions’ attempts to deny federal funding to so-called “sanctuary cities.” The Trump administration believes that jurisdictions that hold themselves out as sanctuaries facilitate crime. (The trial that began last week of Jose Ines Garcia Zarate, an undocumented man accused of murdering San Francisco woman and American citizen Kate Stienle two years ago, is directing a lot of publicity to the administration’s stance here.) Based on his views, President Trump issued an executive order shortly after taking office in which he directed relevant cabinet officers to deprive “sanctuary jurisdictions” of federal funding and to “take [additional] appropriate enforcement action” against them. That is the framework within which Attorney General Sessions has been trying to deny funding to sanctuary jurisdictions who seek grants under the Edward Byrne Memorial Justice Assistance Grant Program, which supports state and local law enforcement with money for equipment, training, and personnel. In particular, the federal DOJ is requiring all funding applicants to: (1) provide federal agents with advanced notice of the scheduled release from state custody of certain individuals suspected of immigration violations; (2) provide the feds physical access to non-citizens who are being housed in state and local detention facilities; and (3) certify compliance with 8 U.S.C. § 1373. Section 1373, in pertinent part, provides that “a . . . State, or local government entity or official may not prohibit, or in any way restrict, any government entity or official from [maintaining,] sending to, or receiving from, [federal immigration authorities] information regarding the citizenship or immigration status, lawful or unlawful, of any individual.” Thus, the statute prevents a state or local government from having a policy or practice that forbids maintaining or giving to the feds information on the immigration status of individuals. Many cities have challenged one or more of these conditions, arguing that the federal government exceeds its powers under the Tenth Amendment by imposing such requirements on states and localities. There are two possible federal responses to this Tenth Amendment challenge. First, the feds can and do argue that they have authority to adopt these conditions pursuant to their power under Article I of the Constitution to regulate immigration, naturalization, and foreign affairs. 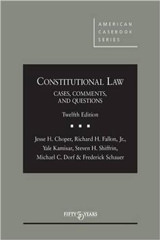 As a general matter, this power is quite broad and may very well suffice to support the federal government’s requirements in this realm, but states and cities have a rejoinder here—a series of cases the Supreme Court decided in the 1990s that, collectively, create a rule known as the “anti-commandeering” doctrine. The basic idea is that, notwithstanding broad Article I powers of the federal government, the Tenth Amendment forbids the federal government coercing states and localities into providing affirmative enforcement assistance to federal authorities. In this setting, states and cities argue that the anti-commandeering principle prevents the feds from requiring state and local authorities to affirmatively provide information about or access to individuals who may have committed immigration law violations. Perhaps the most important Supreme Court case on this point is Printz v. United States (1997), in which the Supreme Court held that the federal government could not require state and local law enforcement officers to conduct background checks on gun purchasers as part of the implementation of a federal law (the Brady gun control law). “The Federal Government,” the Court said, “may neither issue directives requiring the States to address particular problems, nor command the States’ officers, or those of their political subdivisions, to administer or enforce a federal regulatory program.” According to many cities, this is precisely what Attorney General Sessions is trying to do. There are many questions about whether Printz would continue to command majority support at the Supreme Court today, whether there might be an “immigration exception” to the Printz doctrine, and whether Printz by its own terms even applies to information-only demands by the feds (which would mean § 1373 would be ok, regardless of whether the demands for access to persons in state and local detention would be). 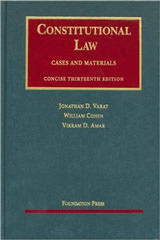 If courts conclude that statutes like § 1373 do not constitute commandeering and are permissible under Printz (for any of the reasons in the previous sentence) then the feds can require that states and cities comply with them, pure and simple, under the Article I powers (concerning immigration, naturalization and foreign affairs) mentioned earlier. 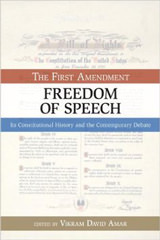 But if one concludes that something like § 1373 constitutes impermissible commandeering in violation of federalism principles laid out in Printz, then the federal government would try to overcome the cities’ Tenth Amendment objection by relying on a second, different basis for federal power—the power the feds enjoy to attach strings to federal funding under the so-called Spending Clause of Article I. The Spending Clause in some circumstances gives the federal government power to achieve what it cannot directly command by creating monetary incentives for state and local governments. The spending authority, as it has been interpreted by the Court, is limited, however, in that it requires that any conditions the feds impose on the funding: (1) be clearly communicated to the states/cities up front, so the recipients can knowingly decide whether to accept the deal; (2) be rationally related to the purposes of federal funding in the first place; and (3) not require the states to do something that violates any other part of the Constitution. In addition, the Court has recently held, the funding at issue cannot be something on which states/cities have come to rely to such a great extent in the past so that they really have no choice but to accept any new strings that are attached. If these four aspects are satisfied, then the funding conditions are valid requirements under Article I and do not violate the Tenth Amendment, whether or not the feds could mandate compliance with the conditions in the absence of the funding carrot. [The AG’s insistence on] compliance [with § 1373] must be proper under the Spending Clause, and 1373 must pass constitutional muster [under the Printz analysis.] As the City has not argued that the compliance condition violates the Spending Clause, the Court now turns to the Section 1373 question [under the Printz line of cases]. The court ultimately concluded that § 1373 did not run afoul of the Printz anti-commandeering principle (on reasoning that I am not entirely persuaded by), so running the statute through the Printz analysis did not in the end affect the judge’s bottom line. Putting aside whether the court’s rejection of the City’s Printz argument was convincing, the key point is that once it is conceded (as the judge says it was) that compliance with § 1373 to obtain federal money is a valid condition on funding under the Spending Clause doctrine, it is irrelevant whether 1373’s mandate—in the absence of a conditional funding scheme—would violate the Printz anti-commandeering rule. Passing muster under Spending Clause doctrine and passing muster under the Printz doctrine are alternative ways for the federal government to prevail. If it wins on either, it wins. It needn’t win on both, the way the district court erroneously thought. Put another way, if a federal condition on funding is permissible under Spending Clause doctrine, it cannot, by definition, be an impermissible commandeering, since (by hypothesis) states have an option of turning the deal down. Hence, there is no federal mandate that could be considered to be commandeering. The point may seem nit-picky, but it’s not. It goes to the fundamental ways in which different yet related doctrines (in this case Spending Clause doctrine and the anti-commandeering principle) involving federal-state relations fit together. 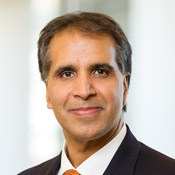 If federal courts are going to be able to enforce the limits that federalism creates on the national government, while at the same time permit the feds to operate in their own proper sphere (and inspire confidence in the public as they accomplish both objectives), they (and their law clerks) need to understand not just nuanced technical details of various specific doctrines, but the overall federalism big picture as well.